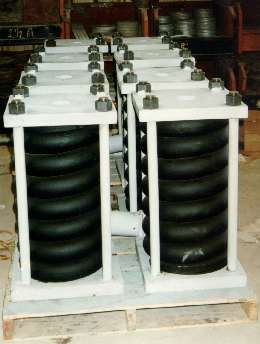 Specially Designed Spring Supports Ready for Shipment to Egypt | Piping Technology & Products, Inc. 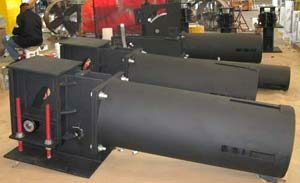 These supports are key components for the steam generators in a thermal power plant. The coils are coated with neoprene (black) to prevent corrosion while the steel plate and tie rods are painted white. Engineers of Piping Technology & Products, Inc. designed these units to support loads of 110,000 kips. 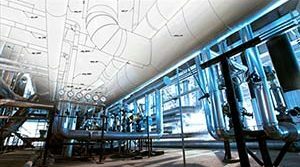 In need of specially designed pipe supports? Get pricing now!